This is the overview page for Primarily Inattentive ADD. Here you will find a broad view of the information known about Inattentive ADHD. This overview discusses the symptom, treatment, and diagnostic differences between Inattentive ADHD and the other subtypes of ADHD. Inattentive ADHD is one of the three subtypes of Attention Deficit Hyperactivity Disorder (ADHD). Inattentive ADHD is sometimes referred to as ADD which is short for Attention Deficit Disorder. This subtype of ADHD is also called ADHD predominantly inattentive (ADHD-I, ADHD-PI). I will use all these terms interchangeably. ADD differs from the other two subtypes in several ways. The characteristic symptoms of the inattentive subtype are inattention, easy distractibility, disorganization, procrastination and forgetfulness. About a third of people with the Inattentive subtype also have coexisting lethargy and fatigue and people with this variant of ADD are said to have Sluggish Cognitive Tempo or SCT. People with ADD and Sluggish Cognitive Tempo have fewer or no symptoms of hyperactivity or impulsiveness and they are less likely to have a co-existing diagnosis of Oppositional Defiance Disorder or Conduct disorder. Hyperactivity and Impulsiveness are symptoms that are the hallmark of the other two subtypes of ADHD, the Combined type of ADHD referred to as ADHD-C and the Hyperactive/Impulsive subtype of ADHD which is referred to as ADHD-HI. People with this condition have been shown in studies to perform more poorly in school than people with the other subtypes of ADHD but they are less likely to suffer the adverse life outcomes, such as substance abuse disorder or law enforcement problems, seen more commonly in people with the other two subtypes of ADHD. Dietary allergies-It is possible that certain people may have increased ADHD-PI symptoms after consuming certain foods or food dyes. Environmental Factors and Toxins - pesticides and lead have both been implicated in causing increased symptoms. Prematurity and Traumatic head injuries- may be related to an increased risk of symptoms. Social Influences- maternal separation and other social factors are being studied to determine their role in causing this condition. ADHD questionnaires are standardly administered to diagnose this condition. 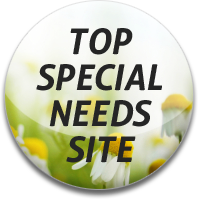 These questionnaires consist of a series of symptoms questions where parents and teachers rate the severity of symptom sand the perceived degree of disability caused by each symptom. Other diagnostic methods include computerized programs that measure attention, hyperactivity and impulsive behavior. The computerized test can give a more objective view of symptoms which is important because parent and teacher questionnaires responses can vary greatly and often do not agree on the severity of disabling characteristic of the ADHD symptom. The appropriate dose of medication, which may be lower in the case of treating ADD than it is for the other subgroups of ADHD. Dextroamphetamine (Adderall, Dexedrine,Vyvanse) - most commonly used stimulant treatment (along with methylphenidate) for all subtypes of this condition. Methylphenidate (Ritalin, Concerta, Focalin, Daytrana,Metadate) - some people may have a genetic basis for NOT responding to methylphenidate. Atomexitine (Strattera) - non-stimulant therapy. Selective Serotonin Re-uptake Inhibitors (Paxil, Zoloft, Prozac) - useful for the treatment of associated depression or as a second line treatment for ADHD-PI when stimulants fail. Try-cyclic Antidepressants (Norparmine,Tofranil) - also used for treating co-existing depression but the try-cyclics can have unpleasant side effects and must be used with extreme caution in children. Bupropion (Wellbutrin) - Wellbutrin is a norepinephrine and dopamine reuptake inhibitor and is another second line treatment for the inattentive subtype. Behavioral therapy is useful sometimes alone and sometimes combined with medication to better treat issues related to motivation, persistence, academic issues and social skill problems. Behavioral therapy may be more useful for ADHD-PI than it is for the other subtypes. Lifestyle skills treatment generally addresses lifestyle issues such as diet, exercise and stress reduction. ADHD Inattentive Classroom treatment methods include: Classroom management, parent support training and classroom accommodation. 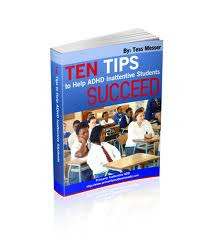 Ebook: Ten Tips to Help ADHD I Students Succeed at School. Vitamin supplementation and ADHD optimized diet- to address potential deficiencies in protein,Omega-3 fatty acids, iron or zinc and to eliminate foods that can aggravate ADHD symptoms. Psychotherapy - to treat the problems that can co-exist with Inattentive ADHD such as anxiety, depression and social phobias. Cognitive-behavioral therapy (CBT) - to address common areas of cognitive weaknesses. ADHD Social skills training methods - to address the problems that result socially from the inattentive symptoms of ADHD-PI. The symptoms and treatment for Inattentive ADHD are different from the symptoms and treatment of the other subtypes of ADHD. People with Inattentive ADHD and parents of children with ADHD must assure that an appropriate diagnosis of ADHD is made in order that this subtype of ADHD be appropriately managed.